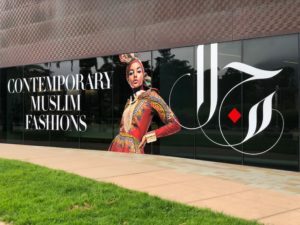 The Fine Arts Museums of San Francisco was planning an exhibit opening for their Contemporary Muslim Fashion event and wanted to create a branded selfie station with a Step and Repeat Backdrop for gallery guests to photograph themselves in front of. This would encourage the elite influencer attendees to create branded digital content to share on social media and help promote the museum exhibit. 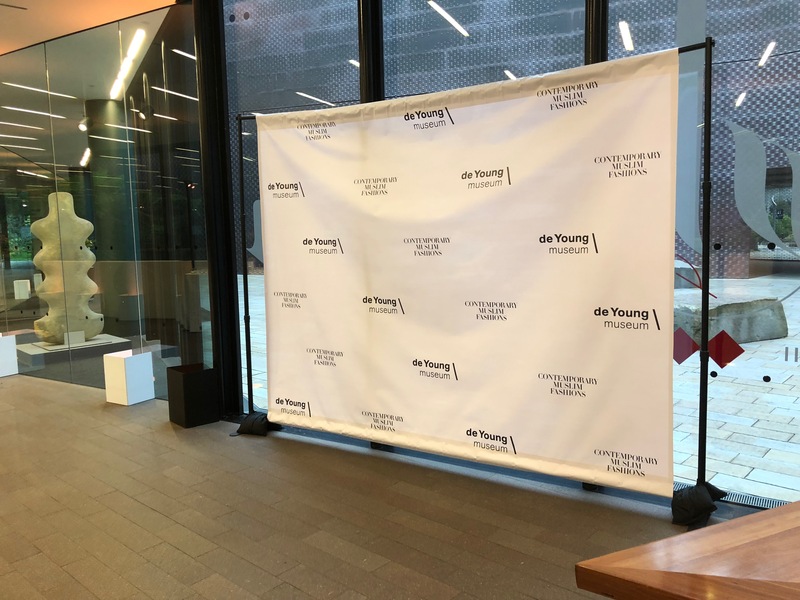 SF Bay Photo and Mirror Booth created a graphic step and repeat design that was based on diagonal lines, help to build visual interest. We used both the museum logo and event logo design. At this particular event, there was a tight window between the time the gallery closed and the fashion event started. We completed the load-in and load-out in the time limits allotted for us. 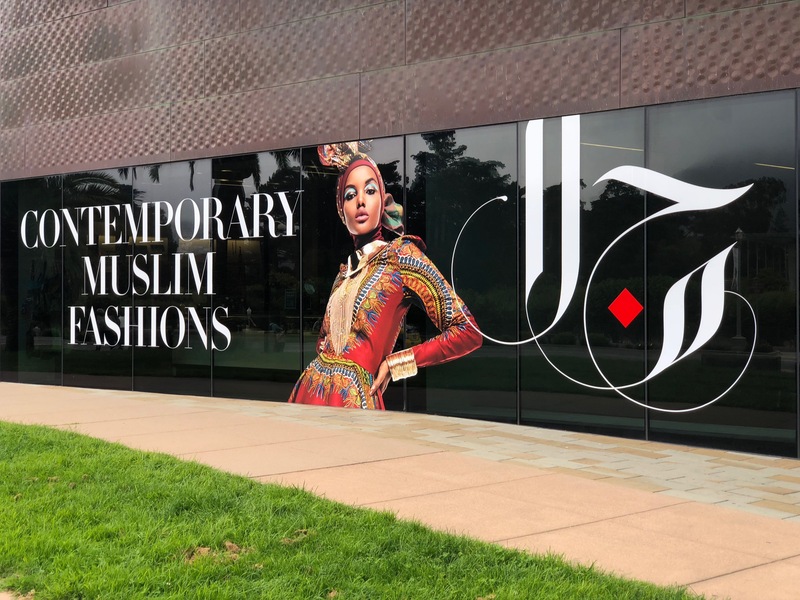 Contemporary Muslim Fashion attendees were delighted by the chance to take part in a museum branded selfie experience. These attendees shared these selfie station photos on social media to help promote the gallery opening. Museum staff was free to focus on the logistics of the event and allowed us to coordinate the design, printing, and installation of the Step and Repeat Banner.